A representative of the Indigenous People in the city council of Mabalacat in Pampanga took his oath Friday, the Department of Interior and Local Government in the province said. The installation of Ruvielane Margarito as new Indigenous People Mandatory Representative in the Sangguniang Panlungsod of Mabalacat City is pursuant to a 2010 DILG memorandum and the Indigenous Peoples Rights Act of 1997. 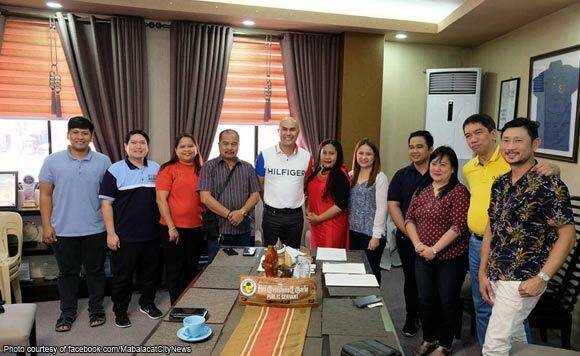 DILG Pampanga Director Myrvi Apostol-Fabia, Mabalacat City Mayor Crisostomo Garbo and NCIP Representative Mark Diwata facilitated Margarito’s oath-taking. Vice Mayor Christian Halili, members of the city council and other local officials also witnessed the ceremony.